A somewhat frustrating night at Anfield for Liverpool as the Reds could only manage a 0-0 draw against Bayern in their first leg of the last 16 in the Champions League. A 0-0 draw, to be honest, is not a bad result but there was a general consensus that Liverpool may be able to get the better of the German side on their home turf. The first half was a brilliant game to watch, especially for the neutral with both teams creating issues. One moment that stands out in particular though is a save from Alisson that he knew nothing about. 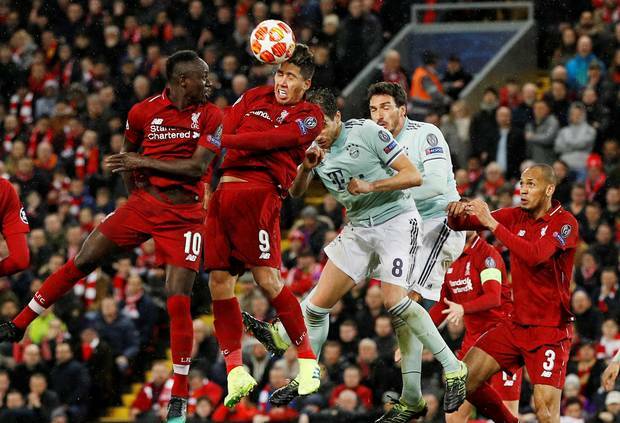 A bit of luck came Liverpool's way after a melee in the box and a risky clearance from Joel Matip nearly ended in a goal for Bayern, thankfully Alisson's body was in the way and the match remained level. Alisson is a brilliant keeper but I still feel sometimes he's far too risky with the ball at his feet. His distribution often invites unwanted pressure and while nine times out of ten it's fine, I can't deal with the stress! I've seen some Merseyside derbies in my time but that could quite possibly be my favourite ending ever, you just couldn't make it up! 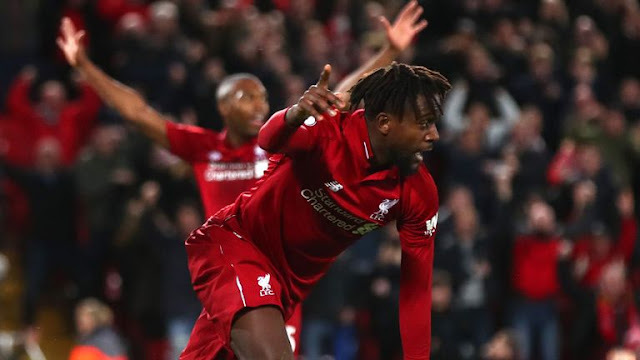 After a battle between the two sides over 90 minutes it was the forgotten Divock Origi who found himself in the right place at the right time to take all three points for Liverpool. I have to hand it to the Toffees they look a far stronger side under Marco Silva and they held their own at Anfield for the majority of the match. Liverpool have improved vastly in defence compared to last season and that showed when Alisson was forced into a close-range reaction save, stopping Andre Gomes' header. The danger wasn't quite clear but Joe Gomez's quick thinking ensured the Reds cleared it off the line. 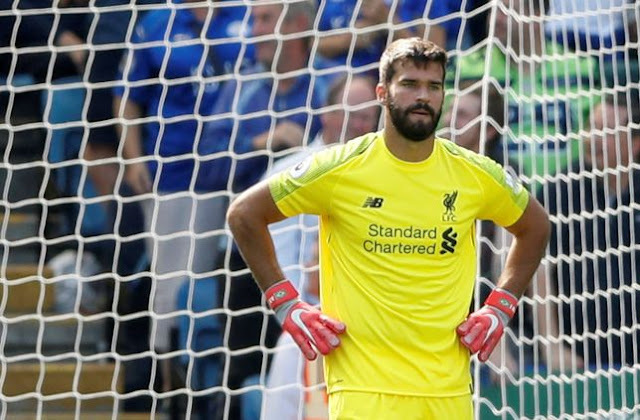 1) Alisson needs to tone down the anticsI like seeing a bit of skill as much as the next person but not from my bloody goalkeeper. I mentioned in a previous post that Alisson only performs these tricks because he's confident and there's nothing wrong with having a confident keeper but he needs to stop his antics. The Brazilian gifted Leicester their goal just after the hour mark and for a time it felt as though the home side might be able to get back into the game. Thankfully for Alisson that never happened and hopefully he's now learnt his lesson. Away from that daft mistake, he looked strong once again when called into action against the Foxes. For me, the main thing we should take away from today's victory over Brighton is the fact that Liverpool are now a team that can "win ugly". It's a phrase that's been thrown around regularly for teams such as Manchester United or Chelsea, teams who are always in the mix at the top of the table and seem to have that annoying ability to see out a result despite playing terribly. I wouldn't go as far to say Liverpool were terrible on Saturday, far from it, but the Reds were definitely below par. For me though, instead of being a negative, this is actually extremely encouraging. Similar to the Palace result, the Reds were able to hold on to a slim lead and convert it into an all-important three points. 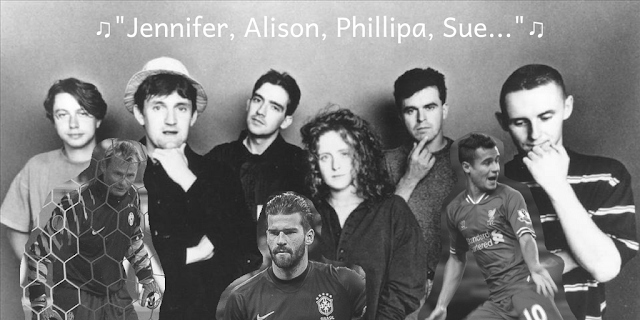 Manninger, Alisson, Philippe sold: A tale of the Liverpool transfer window. The Yorkshire band may have a point in the lyrics of Song for Whoever... "I forget your name." That phrase could easily be applied to several mind-boggling Liverpool transfers of the recent past, but not this year! Gone are the days where the Reds would offer a short-term contract to an ageing Austrian goalkeeper (Manninger). In are the days where Liverpool break the world record transfer fee for a goalkeeper (Alisson) and in are the days where L4 completes shrewd business allowing star players to leave but for a considerable profit (Philippe Coutinho). It wasn't that long ago when Kopites up and down the country were sat in front of the blinding Sky Sports yellow ticker tape, reading the breaking news that the Reds had spent £35 million on Andy Carroll.